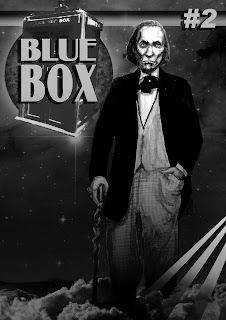 bLuE bOx - A Doctor Who Fanzine: Blue Box #2... Out NOW! Yes at long, long last #2 is here! Its taken a while but I think its worth it - packed with wonderful articles from some of the best Doctor Who contributors out there. We have Season Fnrag Reviews, Prom Review, Fang Rock Reviews, a great piece of Fan Fiction, stunning Fan Art plus more insights and thoughts about our favourite show.